ABOUT 20 people have left Maybank Kim Eng Singapore following last month's bonus payout. A source said the brokerage retrenched as many as 20 staff members, including central dealers and some from the margin financing department, as the firm nears the completion of its post-merger integration exercise. But the firm said the departures were resignations. "There were no retrenchments, only resignations and not as many as 20," a Maybank Kim Eng spokeswoman told BT yesterday. She said it was the usual musical chairs following the annual bonus season. Last year, also in April, the firm denied that lower bonuses and the restructuring of the research team to support the firm's regional platform had led to resignation of four Singapore-based analysts. Maybank Kim Eng chief executive Zafrul Aziz said then the firm's attrition rate had been only 5 per cent despite the merger and integration, and that the timing was also quite predictable because they just got their bonuses. The integration of the combined entity since Maybank's $1.79 billion takeover of Kim Eng in July 2011 is nearing conclusion. 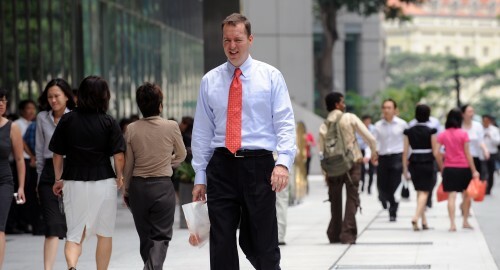 Singapore is the business hub for the firm. In Maybank's latest annual report, Mr Zafrul said that although the firm "is in the final stages of our post-merger integration programme, which is slated to conclude in mid-2013, we have already achieved a tremendous number of successes as a united organisation". He cited the firm's key role in two of the top five IPOs globally in 2012 as just one of many examples of its lead position in the business. The brokerage was involved in Felda Global Ventures IPO which raised about RM10.4 billion (S$4.2 billion) in June, the second largest IPO globally then, and in July, the dual listing of the RM6.3 billion IHH Healthcare IPO on Bursa Malaysia and Singapore Exchange. Acquiring Kim Eng is part of Maybank Group's objective to become a regional financial powerhouse by 2015 and have it play an integral part in the plan to have international operations contribute 40 per cent of group pre-tax profits by 2015. Last year, it said Maybank Kim Eng is gunning to be among Singapore's top three brokerages by 2015. In 2011, Kim Eng ranked No 5. For 2012, Maybank Kim Eng posted a 44 per cent growth in revenue to RM1.3 billion. Profit before tax was RM345 million, up 173 per cent. Prior to the acquisition, Kim Eng's profit before tax for the period June 2010 to July 2011 was $128.9 million. Mr Zafrul said the brokerage, in terms of the mergers and acquisitions business in the region, ranks third, fourth and ninth for Thailand, the Philippines and Singapore respectively - "a significant improvement from previous years".